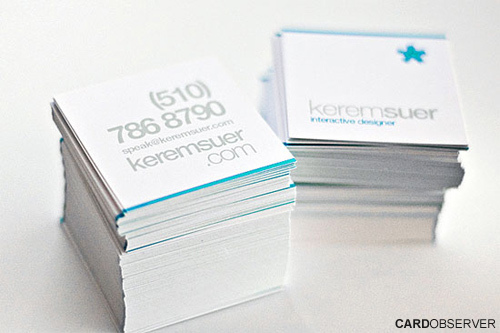 Beautiful square business card for Kerem. Simplistic design with light soft colors to be aesthetically pleasing! Round, square, triangle etc... don't be limited to the standard sized business card of 3.5 x 2 inches. Do something different and get noticed!